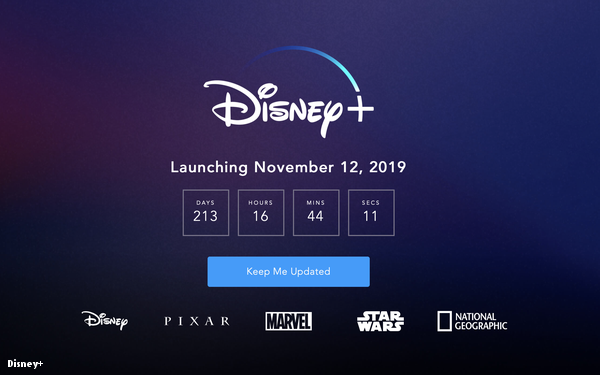 While there were plenty of surprises at Disney’s public unveiling of the Disney+ streaming service Thursday night, there was one that almost certainly stood out for Madison Avenue: Disney+ will be ad-free. The service is at the core of Disney’s strategy going forward, as it will be the streaming home for Disney’s most iconic films, media properties and TV shows. The decision was something of a surprise, with many close observers expecting a sponsorship model for the service to support a less expensive price point. During a Disney earnings call in late 2017, Disney CEO Bob Iger strongly suggested that traditional commercials were off the table for streaming, but left observers optimistic about other advertising opportunities. At Discovery Inc.’s upfront earlier in the week, an advertising executive said they were excited about the possibility of being able to reach young families through a combination of Discovery’s streaming offerings and Disney+. Now those plans will need to be revisited. That doesn’t mean those plans will be shelved forever. At Disney’s investor day Thursday, the company’s head of direct-to-consumer and international Kevin Mayer reiterated the ad-free strategy, while leaving a sliver of hope for marketers. Whether that “time” changes as the company seeks to bolster its earnings in the medium or long-term is the big question. By then it may be too late. For advertisers, the biggest risk comes from losing access to audience. As consumers watch more and more ad-free offerings from Netflix, Disney+, and Amazon Prime Video, they need to find creative advertising solutions. Disney is not abandoning advertising altogether. The company says that it will remain a key part of Hulu’s strategy and will expand advertising opportunities on the ESPN+ sports streaming service. But for advertisers that want to place their brands next to content from Marvel, Pixar, Star Wars or other iconic Disney franchises, they may soon be out of luck. 2 comments about "Ad-Free Disney+ Throws Marketers For A Loop". Douglas Ferguson from College of Charleston, April 15, 2019 at 2:40 p.m. The handwriting is on the wall when advertising is no longer automatically acceptable. Paula Lynn from Who Else Unlimited, April 15, 2019 at 3:04 p.m.
Puppy dog closes. It's only a matter of time when ads are inserted.